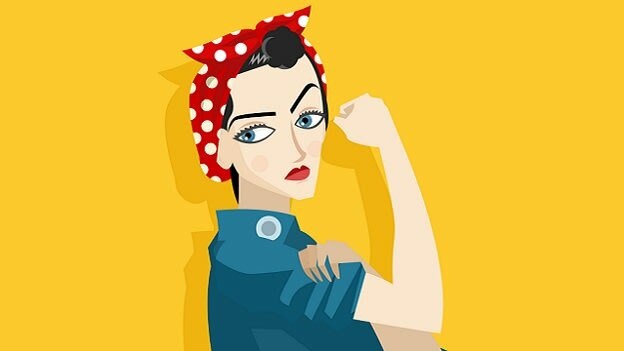 Blog: More power to you, Ladies! There are numerous women out there who have made it big as entrepreneurs through their grit and determination. Society has always had set roles for men and women. While men are expected to be breadwinners for the family, women are expected to be homemakers and look after the family. This is also the reason why the term ‘entrepreneur’ was traditionally associated with men. A deep-rooted bias has been prevalent against women in the minds of men and some women alike, across the world for centuries. For the longest period, women were not considered capable enough to run respectable businesses successfully. It is only as recently as the late 20th century, with the rise of feminism and liberal thinking, that women entrepreneurs have gained recognition. Being an entrepreneur and a woman, I do not believe that one needs to be a feminist to support working women. If men’s business acumen is evaluated on the basis of their skills and competency, so should be the case for women. There are certain traits in women that make them better entrepreneurs than men. As controllers of the majority of household spending, it is a proven fact that women make for excellent managers any given day. Being more empathetic in nature, women also have the ability to understand client and customer perspective better and tailor their business services to meet their stakeholders’ expectations. Most women are also very good at building and maintaining relationships long-term, which again is essential for any business to grow and sustain itself. There are numerous women out there who have made it big as entrepreneurs through their grit and determination. Kiran Mazumdar Shaw, Oprah Winfrey, Chanda Kochhar, Naina Lal Kidwai – these are oft-repeated names that one hears when talking about women entrepreneurs. It may sound clichéd to say that I admire these women and look up to them as role models but the reason is that there are only a handful of women entrepreneurs who have made it this big and therefore, their names are repeated all the time. These women have broken all kinds of barriers to go on to become successful in their respective fields. These brilliant ladies are role models to a lot of young women, especially in India, because they efficiently juggled between work and home life and managed to strike a balance. Then again, there is Indra Nooyi, CEO of PepsiCo, who candidly admitted how difficult the situation is for women. As Nooyi said, ‘having it all’ is just an illusion that comes with painful sacrifices and trade-offs, wherein you end up giving more to work than to your family, in order to reach a certain level of success in your professional life. She spoke about her ‘guilt’ of not having been able to dedicate enough time to her children and spouse. Why is it that working women feel guilty about spending time at work, away from home and family? Why doesn’t a man feel a sense of guilt about prioritising work over family? The roles of men and women are defined by society in a way that a working woman or a stay-at-home dad are seen as aberrations and bad examples. Find your passion. Find something that truly interests you or something that bothers you so much that you want to change it. Share your dreams and objectives with your family. It will help them understand you and your passion better, and will eventually help you strike a healthy balance between work and family. Make learning a habit. Read more, follow the stories of successful people. Always hunger for more knowledge. The more you learn, the broader your outlook becomes, in turn, helping you grow both personally and professionally. Take pride in what you do. You will meet a lot of naysayers in your entrepreneurial journey. Build on your sense of instinct and gut feeling, instead of relying completely on those of others. Ladies, always remember that your dreams and ambitions are important and only you can take charge to bring them to fruition. Do not let society put pressure on you to feel guilty when you succeed. Your success is the result of your perseverance and hard work, after all. NEXT STORY: What leadership traits can we learn from Lord Ganesha ?